Florence Shopping | Travel to Florence.com, your online travel guide. If you love leather stuff then the shops in Florence give you plenty of choices when it comes to handmade items such as wallets, jackets, briefcases and shoes. 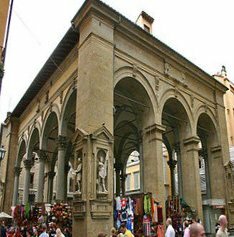 Most of the leather goods and shops are situated in Santa Croce and San Lorenzo. There are many leather schools which can tell you of the intricacies of making things with leather. 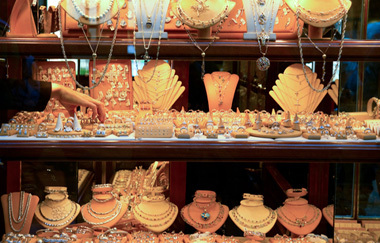 Florence has some legendary gold smiths who have been there for more than 400 years. The Ponte Vecchio Bridge boasts of some of the finest shops in the world where you will find an impressive array of gold masterpieces. Top shops such as Piccni, Melli and Mannelli are located here. The jewelry is usually made of 18 K gold and is world famous. If you love history and like collecting antiques, then Florence is the place for you. Most of the well known antique shops are situated on Santo Spirito. Here you can shop for some beautiful chandeliers, chairs, vases and frames just to name a few. These antique shops have genuine antiques as well as some famous reproduction pieces. It will benefit you to have some knowledge of real and replicated antiques, especially if you plan on making a purchase of an antique item. Mercato San Lorenzo is one of the most well known markets in Florence. It is centrally located and accessible from all the major parts of the city. This market is quite big and has some great seasonal items, designer style clothes and leather items. You can really haggle here since it's a bargain hunter's paradise! Florence is the second most important hub of Italian Fashion, being second only to Milan. You can have a look at some of the great names in fashion like Versace, Gucci and Feragamo at Via de' Tornabuoni. 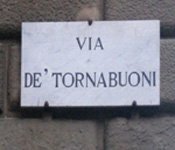 The well known designer names like Valentino, Armani and Pucci are also situated on Via della igna Nuova. Apart from these high end fashion stores, Florence also houses some of the more reasonably priced outlets like Max Mara and Krizia. If you need some everyday clothes then you can look at Coin in Via dei Calzaiuoli and Upim on Via Speziali. Florence is a shopoholics dream which caters to every one. Whether you are a bargain hunter or a high fashion buff, shopping in Florence, Italy is loads of fun!